Teenage Engineering’s innovative Pocket Operator line-up brings electronic music production to the masses. They combine joyous sound with a tiny form factor and equally tiny price tag – making beats, basslines and certified bangers has never been this easy or fun. Let’s take a look at what all the fuss is about. When you hear the terms ‘synthesizer’, ‘drum machine’ or ‘sampler’, chances are you’ll imagine a semi-weighted keybed or an array of backlit silicon pads. Knobs, faders, maybe even a little screen. What if we told you that you could get all the same functionality out of a device the size of a calculator? 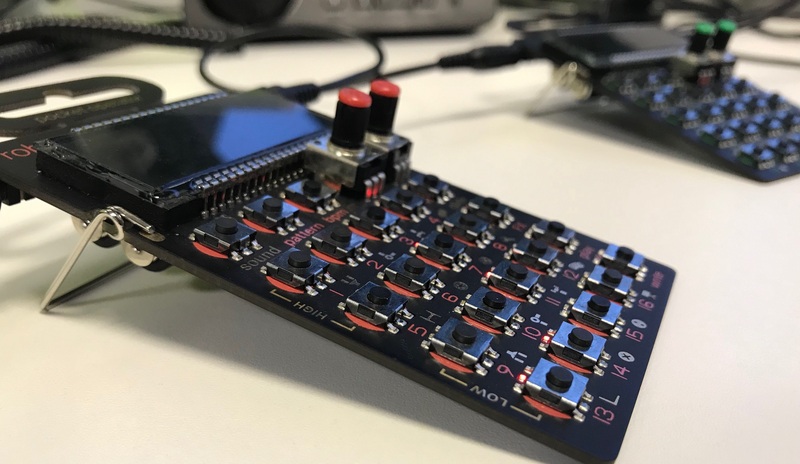 Say hello to Teenage Engineering’s Pocket Operator range. Teenage Engineering are known for changing the way we perceive music production. Their flagship OP-1 synthesizer was (and still is) hailed as a gamechanger for the category – praised for its versatility and workflow by the likes of Justin Vernon (Bon Iver) and Trent Reznor among others. High praise indeed. The Pocket Operators are yet another example of an outside-the-box approach with stellar results – in this article we’ll be looking at what they are, how they work, and why you need them in your life! Pocket Operators are essentially little synthesizers – pocket-sized, in fact – with tactile controls and neat little screens. Each model is powered by 2 x AAA batteries and features 23 buttons, 2 knobs, 3.5mm in/out connections, a folding stand, and even a little built-in speaker. The buttons control sounds, effects and sequence steps, while the knobs control parameters such as volume, sample length, mode selection and more. The connections allow audio in/out, and can also be used for syncing – they’ll accept most universal clock signals, as with the majority of hardware synths. This means you can easily sync them up with each other as well as with other synths. The buttons offer a number of different functions, including built-in effects. All in all, these things are built to be fun to play with – live, in the studio, at home, on your commute! The PO-12 is a drum machine and sequencer with 16 sounds to choose from. The sounds are a combination of synthesized and sampled drum sounds, and the overall character is kinda old-school 808-style. You can save up to 16 patterns and switch between them on the fly. You can also apply and save effects to your patterns, as well as tweak the individual drum sounds to individualise your ideas. The PO-14 Sub is, as the name suggests, a bass synth. It has 15 built-in bass sounds to play with, as well as a nifty micro drum machine to accompany your subby fatness. You can tweak the pitch and length of each note in your 16-step pattern, as well as apply master effects to the whole thing. As with all of the models, you can save up 16 patterns of your own. If the PO-14 is the bass synth, this is the lead. As with the Sub, it was 15 sounds and a micro drum machine on board to add a bit of movement to your parts. A 16-step sequencer records your pitch, note length, drum parts and effects, and you can save up to 16 patterns to easily recall later. As the name suggest, the Arcade makes a whole bunch of slick 8-bit videogame-style sounds. Some retro, some modern, all super cool and super musical. The Arcade goes far beyond just sound effects; it has built-in drum sounds, bass sounds, arpeggiation, chord drones, effects and much more. You can pretty much make an entire track with this thing – madness. The Office literally uses sounds sampled from an office environment. We’re talking floppy disks, keyboards, the works. Its advanced sequencer also allows you to incorporate additional drum and synth sounds to build unique, organic-sounding grooves. You’ve got 16 sounds in total, with 128 patterns (and chaining), 16 built-in effects and a unique solo function. The PO-28 Robot is a lead synth and sequencer, and comes complete with a micro drum machine. Pick from 8 lead sounds, create a pattern and tweak the note parameters (including pitch and length) accordingly. Next, you can add a beat or some sort of percussion to the mix, as well as Teenage Engineering’s signature punch-in FX. On top of this, you can select an additional sound and play live melodies over the top. The PO-32 is another dedicated drum machine, but with a number of tweaks that take the functionality up a couple of notches. It offers 16 initial sounds courtesy of a complex onboard synth engine – complex in that you can transfer your own VST sounds onto it. This essentially means you’ve got an unlimited number of sounds to play with. The KO was released slightly later than the initial range, and offers some rather special functionality. It’s a sample with a built-in microphone; you can record, tweak and sequence your own custom samples, from your own voice to an acoustic drum kit. It intelligently maps out drum samples, offers full sequencing, allows you to record effects into your sequence – huge creative potential. Again, it’s in the name. The Speak is a synthesizer aimed at creating weird and wonderful vocal sounds. Sample your vocals (using the built-in microphone), and apply 1 of 8 vocal styles, plus 1 of 8 built-in effects and let the weirdness flow. It’s also got built-in transpose and scale features for tune making, as well as that cheeky micro drum kit that can be tweaked on the fly. To create a pattern, you first need to choose your sound. This could be a kick drum, a bass sound, a glitchy sample – it depends on the PO. Hold the Sound button (top left) down and tap any of the 16 main buttons to choose your sound. Next, toggle Write mode by pressing the Write button (bottom right) – you should see a small circular recording icon show up on screen. Now you can choose where you want your sound to in the 16-step sequence (also using buttons 1 to 16). If you want a 4 to the floor, for example, select a bass drum sound, toggle Write mode, and click buttons 1, 5, 9 and 13 – you’ll see the corresponding points in the sequence light up. Now press play, and you’ve got your basic pattern. Apply the same process to each sound you want to include, and you’re away! You can toggle the sync modes by holding down the button just below the second knob, then tapping the BPM button. You’ll see the modes change. If you’re connecting 2 POs, you’ll ideally want the first unit to be SY1, and the second unit to be SY4. Once you’ve got your pocket operators sync’d up, just press play. The audio will carry all the way through to the last one in the chain. At this point you can easily send the whole mix into your interface, headphones, speakers – it’s up to you! The syncing method described above also applies to other hardware. When you look at synths and controllers from the likes of Moog, Elektron, Arturia and many others, you’ll see that they also have the 3.5mm sync connections – all you need to do is connect them in the exact same way. This makes it super easy to incorporate pocket operators into existing setups, whether it’s desktop, digital, Eurorack – you name it. The signal coming out of the line out connection on the right hand side is audio. This signal varies depending on your sync setting (see above). 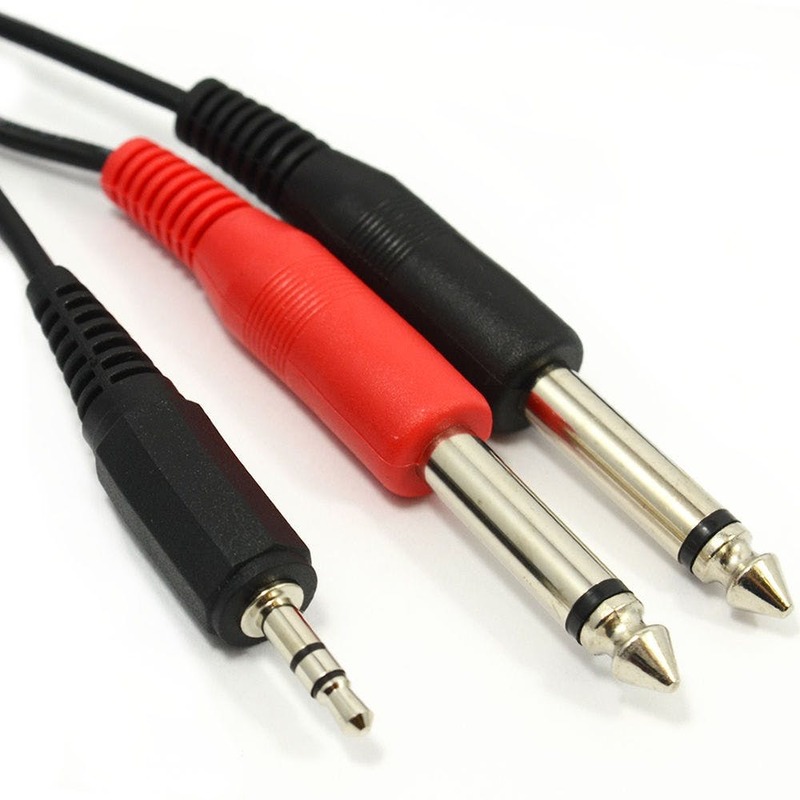 To make sure you’re getting the clearest signal to record with, it’s worth picking up a 3.5 stereo jack to 2 x TS mono jack cable (see example below). This will either allow you to record your Pocket Operator in full stereo (using two channels on a mixer or interface) or record it in mono, with the other channel being used to send the sync signal onwards. Click here to check out our full selection of cables. How do Pocket Operator effects work? As mentioned above (in a number of places), all of the Pocket Operators have a number of effects built in – from delay to distortion and everything in between. Some of the POs allow effects to be applied to specific sounds, whereas others simply let you stick effects on the whole mix. You can apply these effects by holding down the FX button (usually the second button below the second knob) and tapping 1 of the 16 numbered buttons. Each one of these buttons will have its own allocated effect. If you do this while the Write button is toggled, it’ll apply the effect at the point that you tap it in the sequence. This allows you to create really dynamic beats and ideas. By now, you should feel a little more in the know when it comes to Pocket Operators. What they are, how they work, and why you need some! If you think we’ve missed anything, drop us a comment below or get in touch – or if you’ve enjoyed reading, share this article with your pals! While you’re here, check out the rest of our Learn content, or head over to our site to find loads more exciting Teenage Engineering gear. Thanks for stopping by!